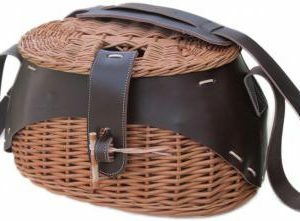 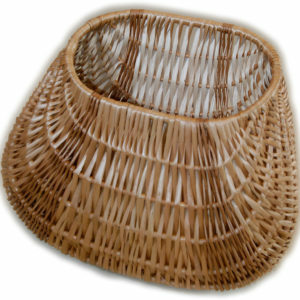 Wicker baskets with liners that allows you to carry accessories and maintain the ventilation of the basket at the same time. 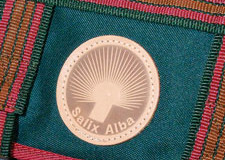 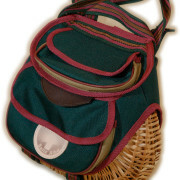 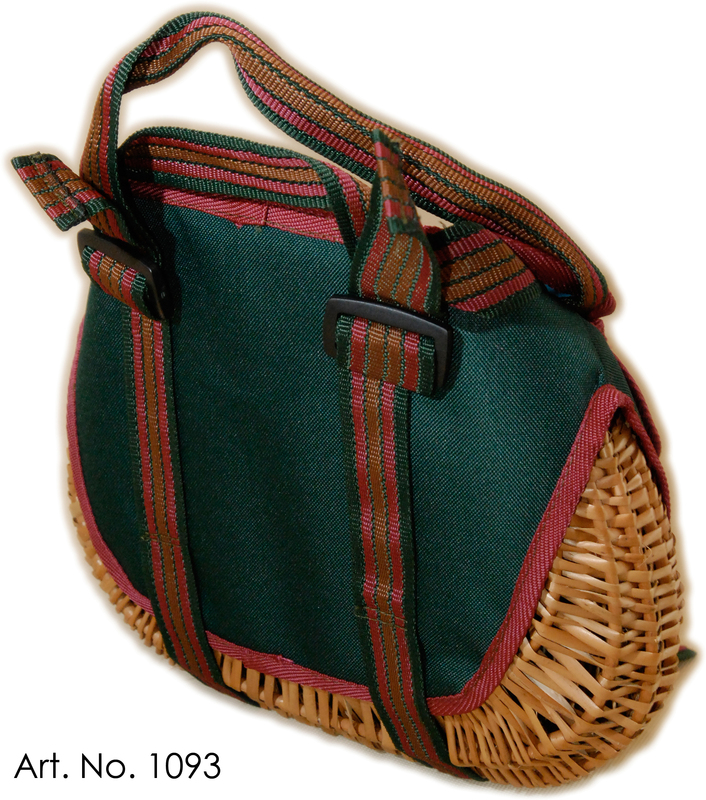 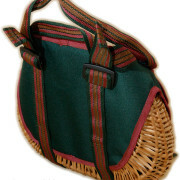 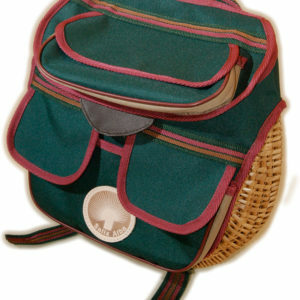 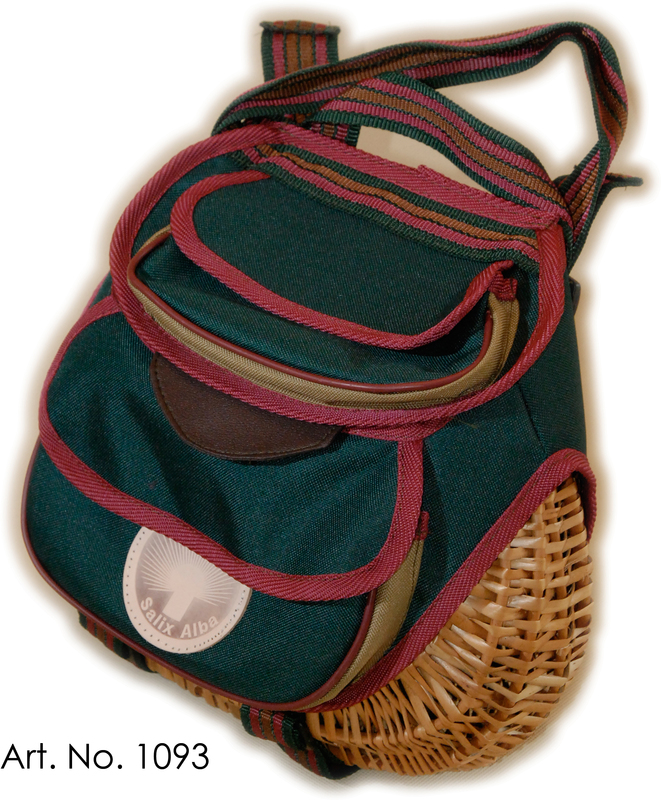 The basket can be worn on the hip or over the shoulder. 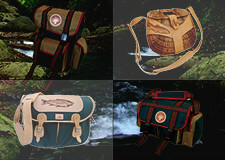 It is used by spinning and fly anglers.